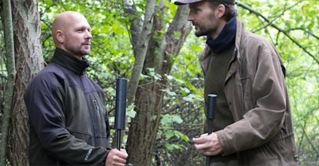 SAI makes a variety of sounds suppressors for military, police, security, hunting & pistols. 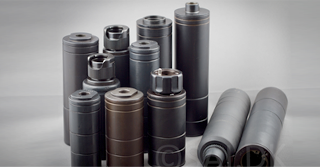 The SAI M80 family of silencers has its basis in the lock & twist mounting system developed by SAI. This locking system enables the user to fit the M80 to the standard NATO flash suppressor without the need of tools. 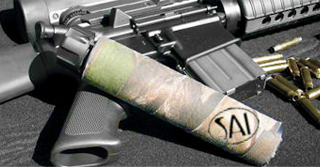 Established in 1997, SAI continues today to build it's core business within the repair, manufacture and sale of weapons, which it has been doing since the late 1960s.